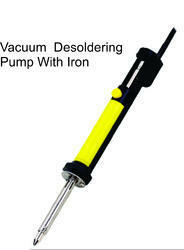 Our range of products include desoldering pump with iron 40 w, desoldering pump and ic vacuum pick pen. 1. Provides safe , low cost means of desoldering connection , PC boards and components. 2. Large capacity spring loaded plunger quickly removes solder in a single action. 3. Tools easily disassemble for fast cleaning. 4. Fitted with a Tefion tip. 5. Compact anti-corrosion plastic housing. 6. Availble in standard and ESD versions. 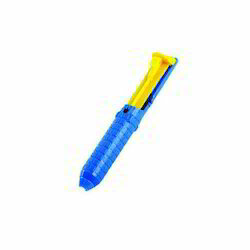 We have established ourselves as a renowned manufacturer of Desoldering Pump.Our offered Desoldering Pump are developed according to the industrial norms utilizing high quality materials under the supervision of experts.We offer these Desoldering Pump on varied specifications as per the demand of customers. 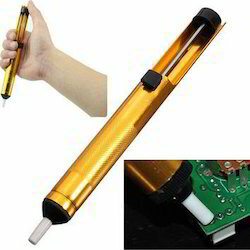 We are the manufacturer of Desoldering Pump. Looking for Desoldering Pump ?